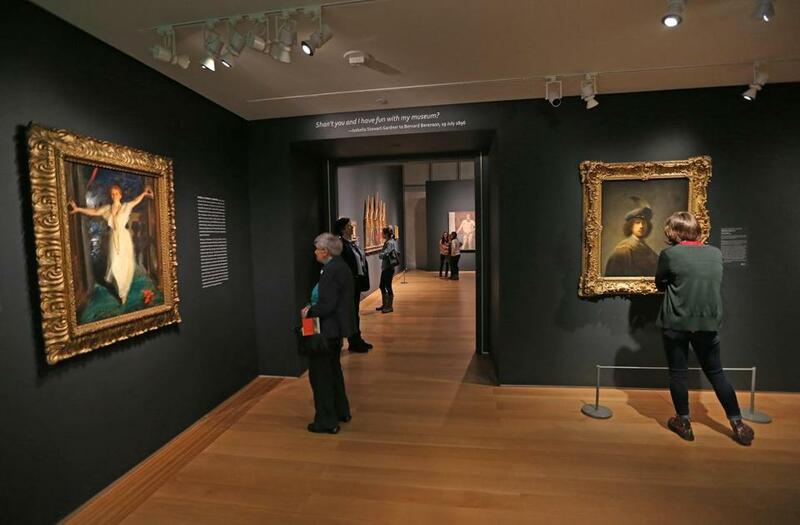 “Off The Wall: Gardner and Her Masterpieces” is an unprecedented chance to see – up close and under excellent light conditions – 25 of the very finest things Isabella Stewart Gardner acquired. 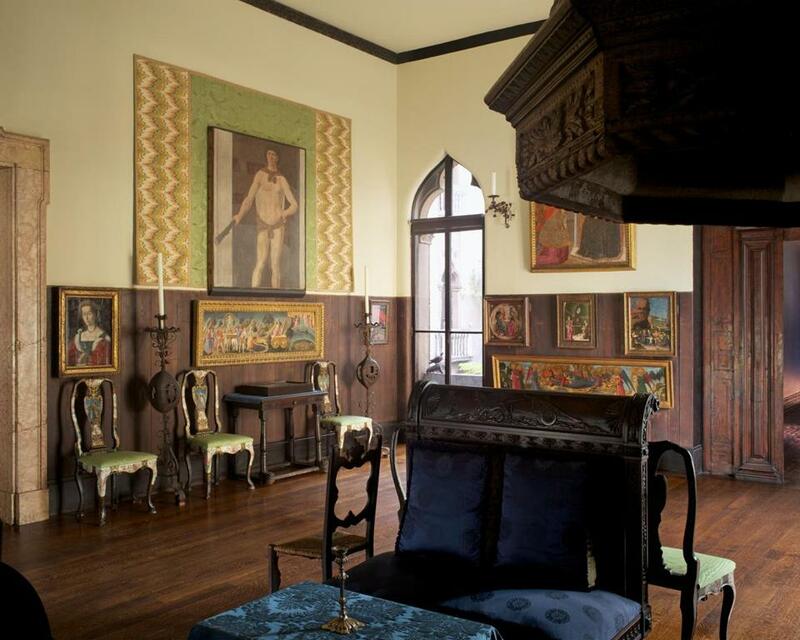 Just how good a collector — how canny, how prescient, how discerning — was Isabella Stewart Gardner? Did she really have an eye for the excellent stuff? Or was it just good luck, the best advice, superb liquidity, and happy timing? An opportunity to focus the mind on such matters is welcome. On regular visits to Fenway Court, hard-nosed questions can easily be blurred by the waning light, the sacred hush, and above all that insanely beautiful courtyard, which can disturb anyone’s critical composure. It’s hard to see clearly through tears. Let’s be clear: This is not a greatest-hits show. Rather, it’s a stop-gap measure, necessitated by the closing of the museum’s second floor for overdue repairs to the roof. Many masterpieces are still in place on the old palazzo’s first and third floors. Thus, “Off the Wall” has no “Europa” by Titian, no “El Jaleo” by Sargent, no Giotto, no Matisse, no Whistler, and so on. There are also no sculptures, tapestries, sarcophagi, or stained-glass windows. 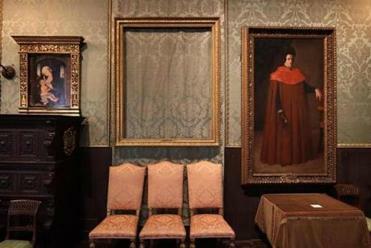 They belong in the museum, an extraordinary place, which should not be connected with empty frames and heist stories. And yet “Off the Wall” is a revelation. What it affords is an unprecedented chance to see — up close and under excellent light conditions — 25 of the very finest things Gardner acquired: paintings and drawings by, among others, Rembrandt, Botticelli, Michelangelo, Raphael, Fra Angelico, Rubens, and Van Dyck. Who knows if you’ll ever have a chance to see these extraordinary works in such circumstances again? I found it enthralling. In front of Rembrandt’s “Self-Portrait, Age 23” — which Gardner’s adviser, Bernard Berenson, called “one of the most precious pictures in existence” — it is astonishing to see, as if for the first time, the delicacy of the gold thread in Rembrandt’s tightly knotted scarf, the light gray of his usually dark-looking beret, and the rich blue fabric of its rim. It is amazing to see Mantegna’s tiny inscription, “ANDRES MANTIN,” at the bottom of the picture. As your eyes pick out the various figures in the background — St. Francis up on the mountaintop, St. Jerome in his cave, St. Peter Martyr being felled on the edge of the forest, St. Christopher fording a river, and St. George dispatching a dragon — you can also take in the snaking lines of Mantegna’s fantasy landscape. They begin with rippling lines in the rock ledge, which rhyme with the brilliantly rendered creases in the female saints’ garments, and they continue into the distance with an array of curving tracks, a corkscrewing cliff face, and bending river banks. There are so many other great things. Michelangelo’s drawing the “Pieta” is finally safely attached to a wall instead of swinging on a hinge in the palazzo’s Short Gallery. Phew! It’s wonderful, too, to compare it to his rival Raphael’s “Pieta,” which, although it’s a painting, takes up only slightly more surface area. Here it’s labeled simply “Raphael.” Whatever. Attributions are always sliding about. What’s notable is that experts now have a chance — one they haven’t really had in the old palace — to examine the picture closely and without impediment. In a similar way, Fra Angelico’s “Death and the Assumption of the Virgin,” Mrs. Gardner’s most exquisite picture, can finally be eyeballed without having to crane your neck. The pinks and blues are truly ravishing, and the blessed brother’s handling of gold, in the textiles covering the Virgin’s bier and the lines radiating from her resurrected body above, is simply beyond belief. Happily, we also get to see the original of the fascinating painting attributed to Gentile Bellini (Mantegna’s brother-in-law) called “A Seated Scribe.” This gorgeously tender, lavishly decorated depiction of a turbaned Ottoman court member hunched over his writing was rendered in gouache and pen with ink on paper, so it is vulnerable to light damage. Over the years, it has been either covered with a velvet cloth or replaced with a copy (always designated as such) in the Early Italian Room. Here, questions about whether it was by Bellini or rather by another European who traveled to Istanbul fade into the background. You just want to look, look again, look some more. One of the things both shows bring home is the breadth of Gardner’s connections. The later fame of Berenson, Gardner’s key early adviser, has tended to obscure the fact that she actually took different people’s advice, and was very independent-minded. The notion that she bought Rembrandt’s self-portrait almost out of obligation — she adored Giotto, she wrote to Berenson in 1900, but really didn’t adore Rembrandt: “I only like him” — is instructive. We all have our partialities. Best to be upfront about them, even as you recognize greatness when you see it. What’s also made clear by “Off the Wall” is that, although she had less money to spend than the likes of J. Pierpont Morgan, Henry Clay Frick, and H.O. Havemeyer, Gardner was consistently at the vanguard of collecting. 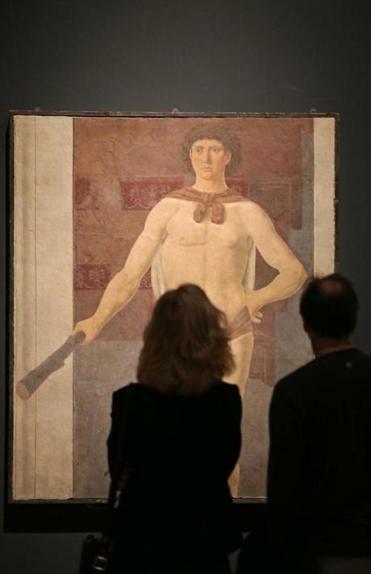 Astonishingly, she bought the first Raphael for an American museum, the first Simone Martini, the first Carlo Crivelli, the first great Botticelli, the first Pesellino, the first Fra Angelico, and the first Piero della Francesca (whose “Hercules” is another obvious highlight). The last two were not just firsts for American museums, in fact, but firsts for America, period. She was also among the first to acquire great paintings by major artists from the Spanish Kingdom of Aragon. The wall holding the three Spanish paintings from the Tapestry Room — admire Bartolome Bermejo’s “Saint Engracia” in particular — is a knockout. The Hostetter Gallery’s terrific lighting, clean walls, and high ceiling all raise tough questions, of course. When Mantegna, Piero, and Rembrandt painted their pictures, they did so in a world devoid of electric lighting. It was either daylight, candlelight, or no light at all. Gardner, devising her museum centuries later, was sensitive to ambience, to the natural age of things, and to an idea of the sacred that got lost in the 20th century. Purists might say she sacrificed great art — and the possibility of seeing it in the best possible circumstances — to her increasingly eccentric-looking vision. I demur. Like the corporate idea of “best practice,” modern assumptions about the best circumstances in which to see paintings are more loaded, and more limiting, than we like to admit. I am happy — delighted, even — to see these works in a fresh context. But I will be just as happy when they go back to the palazzo . . . hopefully under a roof that no longer leaks.